Welcome to this new series about Tristin Morgan the Psychic Soldier and his exciting adventures growing up in the 19th century. 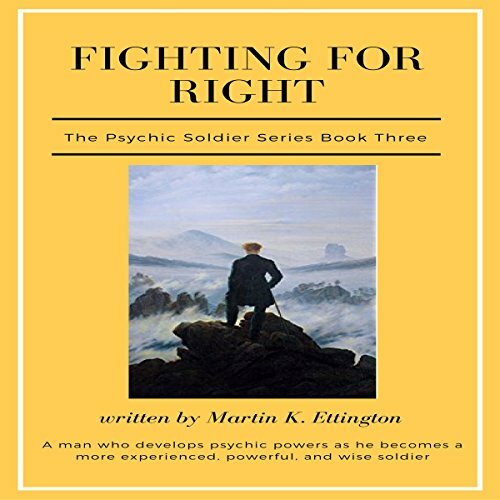 He learns to fight as a soldier and acquires real psychic abilities to help him in his fights. In book one, Himalayan Journey, Tristin is spending a couple of years at the School of the Gods in the Himalayas. During a break between terms, Tristin decides to track down an enlightened Master who is over 400 years old. During this trip, he has several exciting adventures and learns amazing things from Master Bapaphil. In future books, we learn Tristin's history as he fights in wars throughout history and eventually protects the Earth from alien invasion. Welcome to this new series about Tristin Morgan the Psychic Soldier and his exciting adventures growing up in the 19th century. He learns to fight as a soldier and acquires real psychic abilities to help him in his fights. In book one, Himalayan Journey, Tristin is spending a couple of years at the School of the Gods in the Himalayas. During a break between terms, Tristin decides to track down an enlightened Master who is over 400 years old. During this trip, he has several exciting adventures and learns amazing things from Master Bapaphil. Welcome to this new series about the Psychic Soldier and his exciting adventures growing up in the 19th century. He learns to fight as a solider and acquires real psychic abilities to help him. These abilities are real, and the author has written about a realistic process for their development, since he is a worldwide authority on Eastern spiritual development and psychic abilities. In this first episode, we learn about Tristan Morgan’s early life and adventures with partially developed intuitive abilities. Welcome to this new series about Tristin Morgan the Psychic Soldier and his exciting adventures growing up in the 19th century. In this book of the series, Tristin participates all the way from the US Civil War, through major world conflicts, and builds a space force in the late 20th century to help protect the Earth from aliens. Due to his learning personal longevity, he is still a young man and moves into the future as he learns more about being a good soldier, leader, and spiritually transformed powerful psychic. In book four, it is now the early 21st century, and a war with the alien Aldebaran Empire is coming soon. Tristin is Director of the Allied Earth Protective Force, and they are building up our space navy and marine forces. Later in this book is Earth’s first interstellar colonization effort. It is an exciting time for Tristin, his friends, and family. He also finally develops the ability to teleport, and it has many incredible implications.